Life can be rough, and everyone understands that statement at least one point in their lifetime. What tends to be rarer these days however; are good Samaritans willing and able to do something nice for a fellow human being. 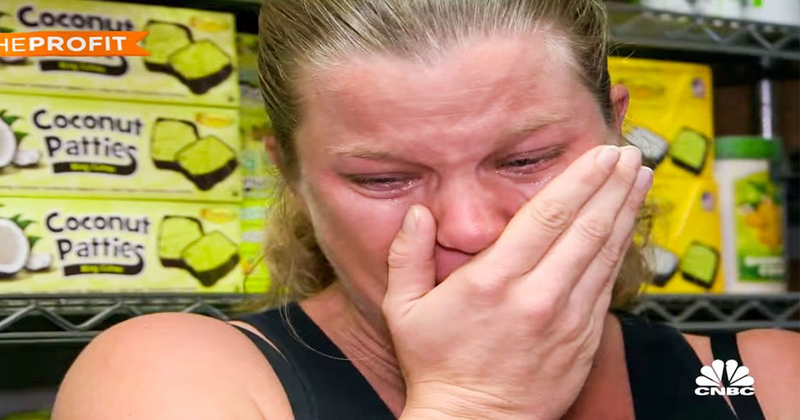 So when this pregnant store manager’s boss steps up to help out a single mother in need, we were elated. Meet Tami, a pregnant woman working as both a bartender and store manager so she could sustain herself and her on-the-way baby. Now meet Marcus Lemonis, successful entrepreneur and business man turned television star hosting the hit show The Profit to try turning failing – yet promising small businesses around. When Lemonis discovered Tami was working two jobs while very far along, he wasn’t having any of it. He paid Tami, and he paid her well. He handed her a check worth six months of her pay so she would no longer have to work two jobs. Then, he dropped another bomb on her, as her eyes water up and the realization hits her; he was giving her a promotion after she returned so she would still only need the one job to support her new family. As she breaks down in a moment of such joy you can only help but feel the same way. What do you think? Share and discuss with family and friends, it’s about time we had some uplifting news!